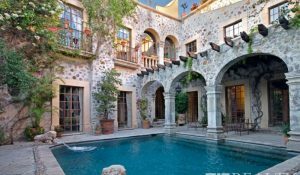 If you are going to be moving, retiring, working, and living in Mexico then finding Mexico real estate is going to be a huge part of that process. And if you are an investor interested in Mexico property investments you will need assistance in the Mexico investment property market. Mayan Riviera Real Estate in Playa del Carmen, Akumal, and Tulum. We specialize in property investments and Mayan Riviera real estate in Mexico. We have and office in Playa del Carmen with real estate buyer’s agents who specialize in properties in Playa del Carmen real estate, Akumal property and real estate in Tulum Mexico. Please go here to search for Mayan Riviera real estate listings. We also have Cabo San Lucas luxury real estate for sale. We have 5 different Cabo San Lucas property developments to choose from. We are expanding our network across Mexico. Additionally we have expert Mexico attorneys in all of those markets. Are you a Mexico real estate developer? Then please contact us for more information on our Mexico developer marketing services. We have a lot of expatriates who are wanting to move to and live in Mexico. Please contact us today for more information and assistance with your Mexico real estate needs – as well as help you with Mexico residencies, moving to Mexico, as well as Mexico health insurance for expats.